It is always someone's birthday. 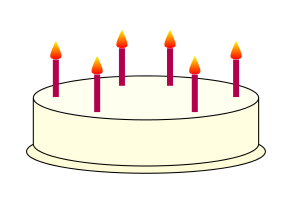 I would like to use TikZ to draw a birthday cake. There are all sorts of cakes. 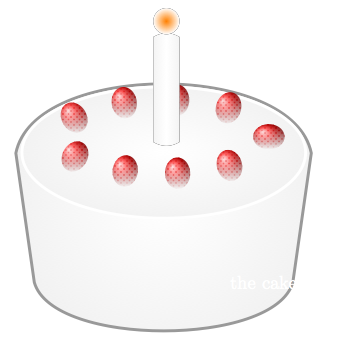 What I would like is a cake that looks nice and tasty. Preferably a cake with lots of chocolate and vanilla custard. How can I draw this with TikZ? 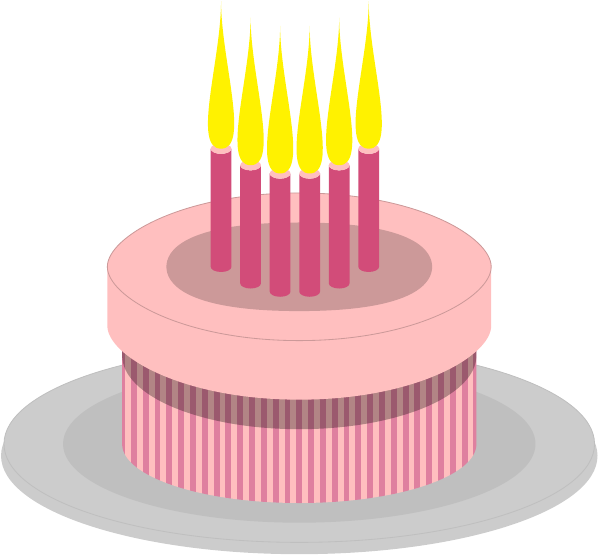 Oh, and apparently someone already made a pink cake but without providing a recipe. svg "M24,150 l-10,-70 c10,-50 150,-50 160,0 l-10,70 c-10,35 -130,35 -140,0"